A decade ago there were two approaches to making a high-end phone. You could either make a high-end smartphone with all the features that you could squeeze in, or you could take an existing phone and bling it up a bit. 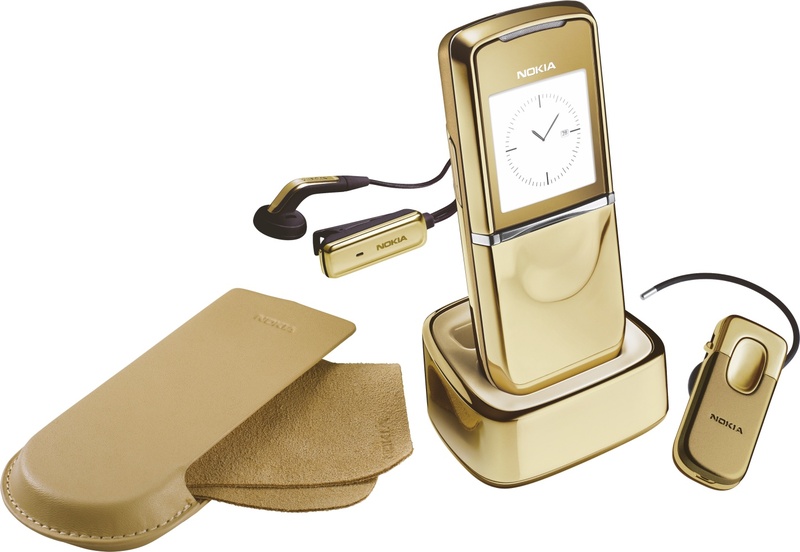 Nokia took the latter approach with the Nokia 8800 Siricco Gold. The Nokia 8800 was always a high-end handset. The original 2005 version was launched at a price of around €800, and the 2006 "Sirocco" update was even more expensive. In 2007, a gold edition of the Sirocco was announced costing an eye-watering €1000 plus tax. 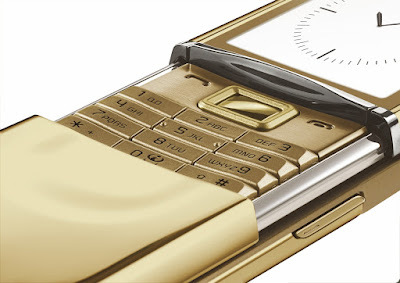 The most obvious feature was the 18 carat gold plating on top of the sliding metal case. The 8800 had always been a good looking handset, but not necessarily a very practical one. It wasn't a smartphone, instead this was a Series 40 feature phone lacking even 3G support. The scratch-resistant 1.7" 208 x 208 pixel display was pretty good for a feature phone, it had a two megapixel camera, Bluetooth and an FM radio. Although it could play MP3s, the storage capacity was just 128MB and there was no memory slot. On top of that it had some special ringtones, a charging stand and it came in a nice box. Gold-plated phones polarise opinion. Some people think that they are elegant and attractive, others think they are tacky and rather gauche. Regardless, the 8800 was a carefully engineered product which would turn heads even in the plain stainless steel form. OK, so it had a shiny yellow coating, the screen had sapphire glass and it was very carefully engineered... but underneath it was just a cheap and cheerful Series 40 feature phone with a very high price tag. So, almost inevitably there were forgeries.. There were three main ways to faking the 8800 Sirocco Gold. One was to start with the normal 8800 Sirocco and plate it in yellow metal. The second was to take another cheaper model of Nokia phone and to install the internal components and screen into a fake 8800 housing. Some even just fabricated a clone of the whole phone with a rip-off version of the OS. The last two techniques had been used for make fake 8800s ever since they came out. Even today, the 8800 Sirocco Gold is a minefield for collectors with many fakes still in circulation. Prices on eBay vary wildly from less than €50 to over €1500 depending on condition, and it isn't easy on an auction site to tell a real one from a fake. The 8800 wasn't the only massively expensive Nokia feature phone, as pretty much the entire Nokia-owned Vertu range pulled off the same trick but were even more exquisitely engineered and expensive. The 8800 Arte and 8800 Carbon Arte followed in late 2007 and 2008, and the similar 8600 Luna followed in May 2007. Even though there remains a market for low-tech high-end phones, most people these days would probably sooner have a good smartphone for the money instead.